Many currently think that the various sentiment indicators are providing a contrarian bullish signal because the current readings are very bearish while the indices are near all time highs. 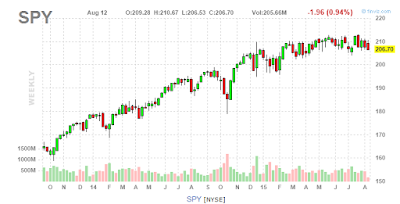 But, the thing is, that many individuals own individual stocks not just the SPY and DIA ETF. With the average SP500 stock down roughly 14% from their 52 week high, it’s not hard to believe and or understand why the average investor feels bearish. $AAPL I own it because I love Apple, everyone in my family has an Iphone, and it’s never going down. Now, if you were to ask the individual whose portfolio consists of the stocks above how he feels about the MARKET, chances are high that he is not going to feel great about it regardless of the fact that the SP500 is trading near highs. Apple has done absolutely nothing in 9 months and it just took a nose dive. Disney was a bright spot in the portfolio but it just took a hit after it reported earnings last week. Duke, the dividend is nice; however, the stock’s decline has been greater than the dividend payments. Newmont mining, total disaster. 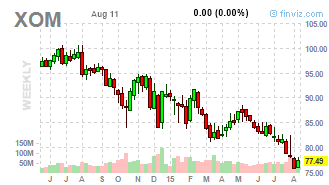 Exxon Mobil is another disaster. succinct and true – nice job!